Little update: I just add 5 additional To Do Programs to this list. You can read about them here. There are also many To Do Programs you can download on your local drive. 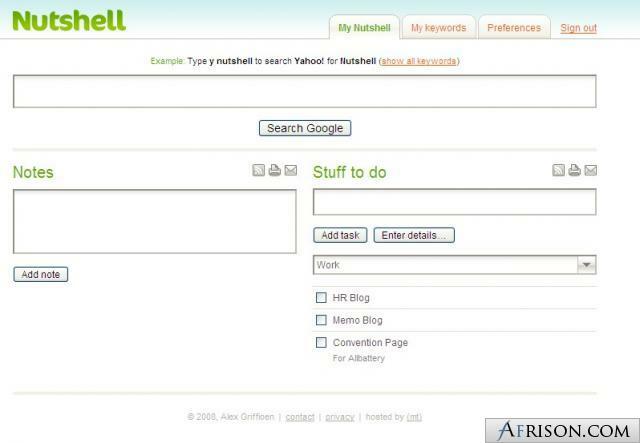 Since I need my to do list at home and work I prefer to have it online and a Desktop solution were not a really option. By the way, there are some online To Do Programs you can use Google Gears to work off line on your to do list, so internet access is not always necessary. Almost every program in this list are able to divide in projects and actions, due date, and sort by priority. Some have a reminder, repeat function, calendar and the possibility to upload photos or files to your tasks. Several programs on this list support team work and collaboration with your co-worker or client. So everybody can stay in the loop about the status of each project. All programs in this list are for free. Few have limits though, but for a normal user even the limited version can be enough to manage their “to do list”. If not, it’s easy and inexpensive to upgrade. Following To Do Programs are interesting. Sure there are much more in the WWW but some of them are not for free, not good or I just don’t know them yet. Easy to use, Ajax driven. Clean user interface, dynamic refresh of pages, easy drag and drop of actions, sending new actions via SMS to list. No priority function, no repeat functionality. Very good for the normal use, not a lot extras, I would recommend to try it out. Easy to use, look of the website reminds me of the 90’s. Projects are in tabs, which is nice. Left navigation includes all links at a glance. Very complex To Do Program. Easy to use, timer, many functionality, goals, easy import and export. Firefox Add-on to access your list easily. Connection to iGoogle and Google Calendar, able to submit several actions at once, SMS alarm, mobile and iphone access, RSS and much more. Very good program, a lot functionality, more than some pro versions. Tasktoy uses a little different way to organize; it divides by location (Home, Office, Other…) and then projects. It only shows projects that are due today. It’s very easy to add tasks and easy to move them to another day or week. Who likes to divide his tasks by location first and wants to see only tasks which are due today to avoid distractions by seeing all other tasks maybe like this alternative. Easy and simple design, worth a try. Ta-da List is a To Do List, not more not less. 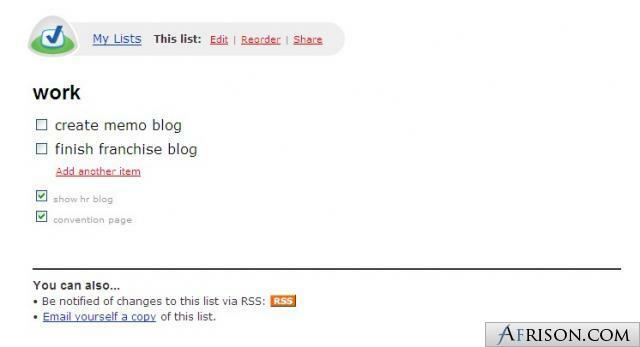 It is very easy to use for creating lists and tasks. That’s it. Perfect for a purist. Easy drag and drop, totally simple user interface. Actually nothing, if you don’t need more, then you are a happy camper. Conclusion: Super plain easy. 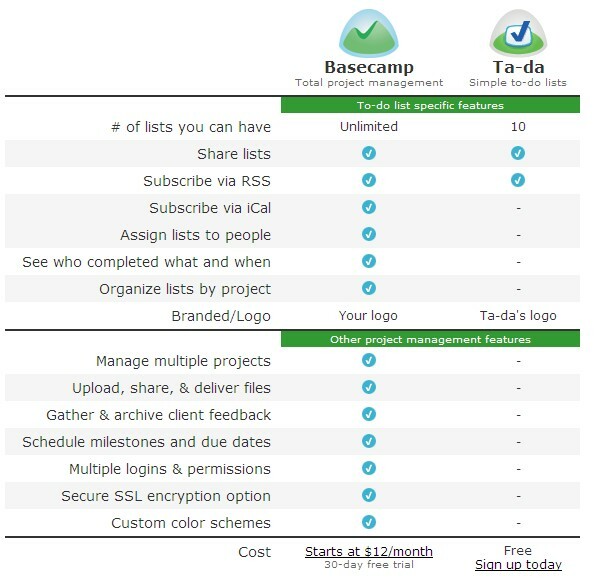 Who wants to have a super load program with thousands of functionality might try out Basecamp , has it’s price but for a pro a very interesting thing. It’s from the same company 37Signals. One of the most popular time management programs for professional use. 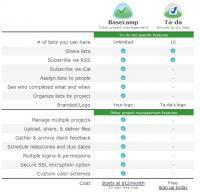 You can compare Ta-da List and Basecamp on the screenshot below. Compares to all other basic programs, Ta-da List is my favorite so far. I will see if I just need a really basic program or something more complex like Basecamp or Remember the Milk. Very easy To Do List, plain but functional. With date and priority function, chain and Firefox plugin, so you can start Todoist in a sidebar. Priority showing in colors, not in numbers. Put the date manual in the field instead of selecting in a calendar pop up. Another easy to use program, with some nice features, a little bit more than just the basic programs. Nice user interface, everything at a glance, no date functionality, pretty basic. Priority only between high and normal. As many other, little nice program with everything on one page. It’s worth to try it out, if you don’t care about the missing date functionality. Very old interface. Reminds me of the beginning of internet. Calendar, planner, status bar. Calendar, planner, status bar in percent. Old design, a little bit difficult to add a task, ads on the page, but that’s ok, since it’s free. The program is not worth than other, I really like the status bar, where you can see how much is done. I’m surprised that no other program in this list has it. But I really don’t like the user interface, maybe other user really like this design and choose MyTodos as their program of choice. Very good for team work, collaboration and network. It’s easy to delegate tasks to other people. 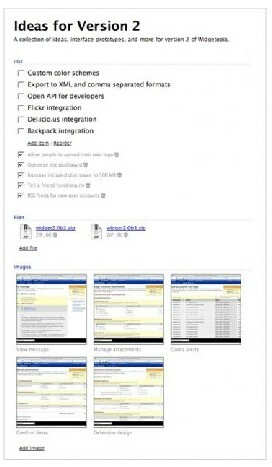 Many features, you can upload files, photos and there is an event calendar. Pretty simple to use. The free version is limited to 5 projects, which would be ok in my case. Very good for team work, complete overview of your tasks and what’s happening. Uploading files and photos, nice user interface and chat functionality. Conclusion: Nice Time Management Program if you work in a team, unfortunately you cannot set priorities, what I really cannot understand since it’s a pretty complex program. Nice user interface, easy to use, has all basic features, but also no extras. Nothing really, if you don’t expect a professional time management program. Recommended program, which is not missing a thing if you don’t want to have any extras. If the features are enough for you it would only depend if you like the user interface or not, to make this program your favorite one. Quite a lot features but limited to 10 projects in the free version. Besides that pretty good, filter, reminder, repeat feature, mobile and PDA access and so on. Includes all basic features, nothing is missing for normal use. Limited to 10 projects in free version. The same like Gubb, stable program, with enough features for normal use. I’m not so excited about the user interface, but that’s just my opinion. Backpack has also another way of managing tasks, instead of lists, priority, due dates and so on, is Backpack able to create a complete page with all information you need. task list, attached files, images and links. Interesting way and you have all information on one page, very easy to use. Negative: Free version allows you only 5 pages to create and you cannot add pictures or files to the pages. Treedolist, as the name says, uses a tree structure for the list. It’s really not my favorite. All basic features are there, except the priority feature. I don’t really like the structure and no priority feature. Certainly not my first choice, but if you like tree structure go ahead and try it out. Cannot create projects, only tasks. Instead of the questions, it would be better to put some interesting information on there. No priority feature and it’s not possible to put in an exact due day for a task. And again, less is more. Fast creating of tasks, without categorizing, but with a rough date. It would be great to use the right part of the page with more useful information. Nozbe is a fully loaded program but limited to 5 projects in their free version. File upload, next action view, time of the project and much more makes this program a great tool for advanced user. Limited to 5 projects in their free version. In my opinion to cluttered, not so clean as the other programs. Nozbe has some interesting features but the page is too loaded and the usability could be better. Hiveminder is very interesting, easy to use with a lot features. Especially task dependency is a feature I like a lot. Braindump for fast entries is also a cool idea. It’s also a good program for team work and collaboration. Task dependency, Braindump, team work enabled. You have to work with it a little bit before you get to know all features and how everything works. They could replace the field "Send us feedback" and "Invite a friend" with a normal link, that would make the website cleaner. After a little while you get used to the program and it’s nice to play with. It has some features other doesn’t offer. Unfortunately you can not input a due date or priority. I don’t know what I was drinking but of course Hiveminder supports priority and due date, sorry for that. It’s pretty easy to set up. With this quite basic features, Hiveminder is a interesting option to Remember the milk. I have to check on that. My apology. Goplan is great for its features and user friendliness. It has much more to offer than a to do list (ticket tracking, blog, notes). Very nice user interface, many features, file management. Several time was the server down or very slow, free version only with 2 projects. Awesome program and very user friendly, but doesn’t help me at all if I cannot access my page. Every 15 minutes it was down. Not acceptable if you need your to do list now. Also 2 projects in the free version is not enough. If you really like this program, maybe you should go with the pro version. But check their server uptime, maybe it was just a bad time and this happened once a year. 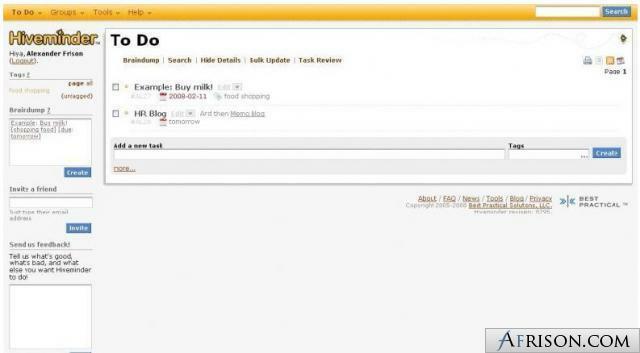 Remember The Milk (RTM) is the most popular To Do List Program on the free market. No wonder, since it has a lot features, very nice user interface, easy to add actions and a ton of possibilities to connect to external programs. Even working offline, thanks to Google Gears, is possible with RTM. Available in many languages, loads of features, great user interface. Connection to many other programs, offline working possible. No pop up window to select a date, you have to put in the date manually. Besides that, nothing really. Remember The Milk (RTM) is so far my favorite, it has lots to offer, nice user interface and even offline available. I hope I could help you with the choice of your favorite program. I you liked my post, please subscribe to my RSS Feed or my Email Newsletter. Not to miss more of some great posts. ActionThis is another product in this space, and is ideal for both individual use and for when working as part of a team. The free version provides full access to the website and everything it provides, including a range of reports. There is also a paid version which, while outside the scope of this post, allows you to create and manage tasks using Microsoft Outlook, and lets you download data into Microsoft Excel for further analysis. Hi! Thanks for the write-up. Just as a heads-up, Hiveminder _does_ allow you to input due dates and priority. Either graphically as you input tasks with the widget or in the text using [priority: high] and [due: tomorrow]. I’ve been meaning to check out the options on this front for a while now (at the moment I rely on a pen and pad! ), so your post has really helped. Unfortunately I can’t tell you which I like the most yet, but I’ve bookmarked this and I’m planning to investigate in the next few days. thanks for the tip, I signed up for actionthis and will check it out. My first impression, it looks very interesting. I will add my experience of this program later to this post. Sorry for the error, I corrected it, I don’t know why I wrote that, since I even made some changes on the priority when I was testing it. Sorry! even after testing all these programs I’m still not sure which I would take. At least I know out of these 16, that are 10 programs I won’t make. I just have to digg deeper in the other 6 to check out, which one will fit to my purpose. While all of the tools mentioned above are basic project management solutions, I can offer you a online tool for even more extensive project management that includes time management, issue tracking, wikis and much much more. It is called ProjectOffice.net and of course it is comletely free of any charge. 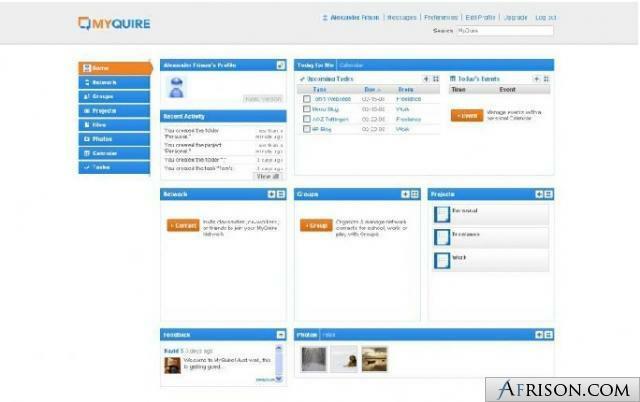 Check out ProjectOffice.net, http://www.projectoffice.com, an online project management tool that provides all-in-one functionality: managing projects and tasks, time management, issue tracking system and increased team collaboration through wikis. sounds interesting, I certainly will try that out. Let me check it and I probably will add it to the list. Don’t forget Intervals. It’s a little more robust than what you have on your list, but it does a great job at tracking your time against tasks. So not only do you get things done, you get to see how long it took. Thanks for the listing. 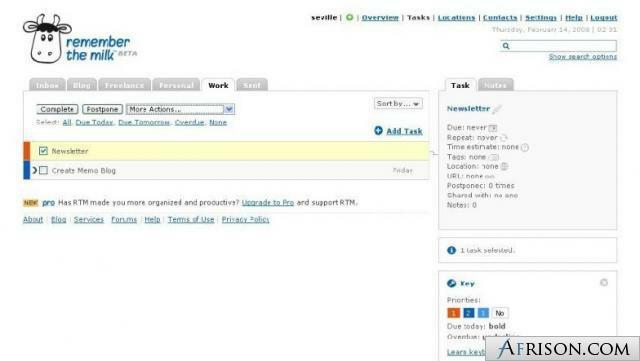 You can also check out deskaway.com for your simple task and project collaboration needs. Good for freelancers and small teams. The free plan has access to all features. Great reports – a picture is worth a thousand words, right? I will check it out and add to my list. BTW, I add 5 new programs on a new post. managing and planning our time is one of the important point in our business. Weekly planner more simple in use and portable during traveling. Nowadays many (To Do Programms) in internet which make planning more easy and computirized, especially working in team projects. Personnaly i use simple weekly planner. Advantages of it easy in use and saving time. Thank you Dan, I will try it out. great idea to elaborate and concluded all this stuff. @ggg, your welcome, hope you find the right one for you. I really enjoy your posts . 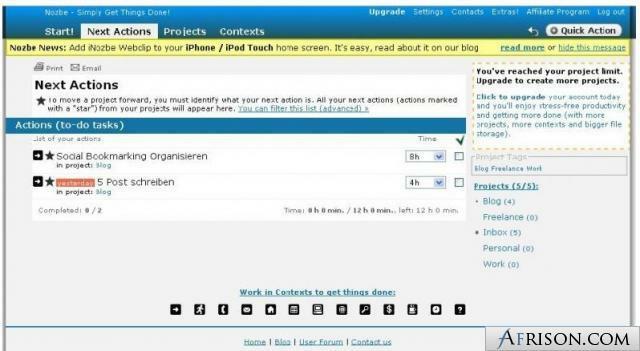 And this post is no exception, first of all i’d like to point out that there is a big difference between online project management tool and to-do tool. To-dos are just a small part of every projectm yet i agree that they are very important. And i would like you to take a look at http://www.comindwork.com and share your thoughts. I like Remember the Milk OK, but there’s no good way to manage projects. That’s such a basic functionality that I’m a bit turned off from RTM. this was useful but you’ve not made any comment on the key area of functionality – sharing across the web. This is the main reason for switching to a web based to-do list in the first place – otherwise I’ll just stick with my notebook. @Beth, RTM has many functions, but as you say, it’s not perfect. @m, this is true. But I do use a local todo program and use Dropbox to have the list sync with my desktop and my laptop. 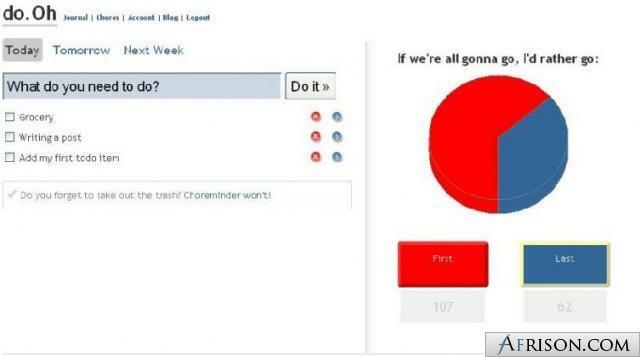 Otherwise, having a web based to-do list is good if you want to share it with many people. But that wasn’t my goal. There are different tools all over the internet that you can use in order to help you manage your GTD (Getting Things Done). Time tracking tools are very useful which allows you to set an estimated amount of time when working on your tasks. This way you can limit wasted time and stay focus to work. With GTD with time tracking, I would say that this is a good combination to improve productivity. Thats a pretty nice collection of tools that are meant for the online program made easy and effective. When we talk of online tools to make the things more right, one more inclusion can be also considered from the resource that I usually use to have the things done up. I would like to recommend the cloud based online task tracking software from Replicon in this wonderful list. There are tons of online tools available however not each of these is pretty useful in many terms. I had been always looking for some easy time tracking tool until I found Replicon’s online time management solution as it has been an awesome tool.